Fugh Refrigeration, Inc., was established in 1950 and incorporated in 1976. We installed the refrigeration system in the first McDonald’s in Pittsburgh in the early 1960’s. To this day we continue to service many chain restaurants, offices, businesses and residential customers. Fugh Refrigeration, Inc. is committed to providing the Greater Pittsburgh Area with a higher level of commercial refrigeration and heating & air repairs along with residential heating & air service. Our customers range from large chain restaurants, bars, convenience stores and the hospitality industry to churches and clubs in addition to our residential neighbors in our community. We are able to provide that higher level of service by being professional, dependable and reliable. Our experienced technicians are continually educated in changes in technology and equipment. They are certified, drug-tested and background checked. Our technicians will keep you informed and educated on your equipment. We assure you will receive quality service when you need it the most. 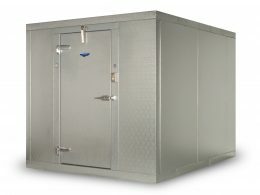 Fugh Refrigeration, Inc. serves all segments of the HVAC/R industry. This includes all varieties of chain and full service restaurants, company cafeterias, the hotel/motel industry, convenience stores, banks and residential customers. We provide sales, service and installation on Commercial Heating and Air Conditioning, Walk-in’s, Reach-in’s, Ice Machines, Soda/Beverage Systems, Frozen & Juice Machines, Beer & Glycol Systems and Water Filtration. We can perform warranty work on all makes and models. Our service vans are stocked with many parts and supplies to perform general repairs and get your equipment working again; some repairs may require OEM parts that have to be special ordered. We have 5 technicians to provide service Monday – Friday and two technicians on-call for service on the weekends and holidays. We have a 1,600 sq ft showroom stocked with new & used restaurant equipment. We can help load your equipment into your vehicle or trailer or we can deliver your equipment. We can provide these services for any location in Greater Pittsburgh area. If you are in need of any additional information, please feel free to contact us.